After a week of below-zero temperatures, with some nights hitting lower than zero, people in the St. Louis region are struggling to keep warm. For some, that’s because they just can’t afford the cost of heat. “We thought this was going to be a normal, quiet Christmas,” said Heatupstlouis.org founder Gentry W. Trotter, whose organization helps pay utility bills of people in 16 counties in Missouri and Illinois. But the temperature dropped, and since Christmas Day, more than 900 people have asked the organization for help. According to Trotter, that’s a 60 percent increase in requests from the same time period last year. People who can’t afford to keep their heat on may use other methods, like space heaters or ovens. But those methods can be hazardous. A 2015 report from the National Fire Protection Association found that space heaters are involved in one in five home fire deaths — though they can be used safely. And an oven can go out or burn inefficiently, causing a potentially toxic buildup of carbon monoxide. Trotter said that senior citizens and people with disabilities are among those at greatest risk. Staying warm and dry can be crucial to their health. But many people living on a fixed income can’t afford increased heating bills. The cold weather is also dangerous for the homeless. 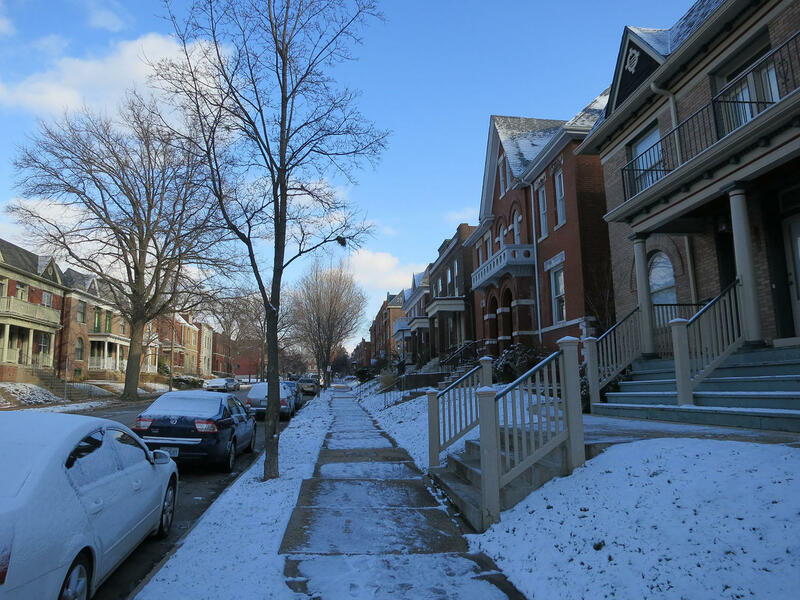 St. Louis announced winter outreach operations with additional shelter beds on Dec. 27. On Monday, Mayor Lyda Krewson called on citizens to help connect people with shelters by calling St. Louis Housing Helpline. In St. Louis County, there are eight shelters, including a 24/7 warming shelter operated with the help of the Salvation Army. “We're always trying to find individuals permanent shelter," County Executive Steve Stenger said. But officials note that it’s especially important to find some sort of shelter now, while temperatures are in the single digits. The cold weather is expected to continue until Saturday, with a “dramatic warmup” on Sunday and into next week, according to meteorologist Charley Kelly, who’s with the National Weather Service. Though temperatures near zero are not unusual for the region, Kelly said that residents have been “spoiled” by several unusually temperate winters since 2014. If you need help, or know of someone who does, here’s how to connect with local government services. Go to Biddle Housing Opportunities Center, 1212 N. 13th Street.